Today I set out to try to understand the difference between Yemeni and Yemenite food and if they are the same. Previously, I asked one of my Arab Yemeni friends and he said that "yemenite" is the feminine version of the word "yemeni." I asked a Jewish friend and she said that "yemenite" and "yemeni" are the same. So what is it? 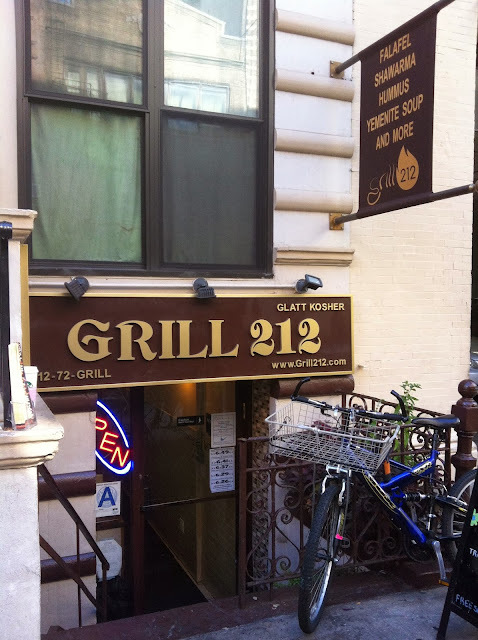 To try to get some clarity, I decided to try out a Yemenite restaurant, Grill 212. According to their website, they serve a "specialty Yemenite Soup, made with only the finest fresh ground spices from the Middle East and guaranteed to rock your palate!" They use "ancient family recipes infuse you with a taste for Old World Yemen where Jews have lived for thousands of years unchanged." 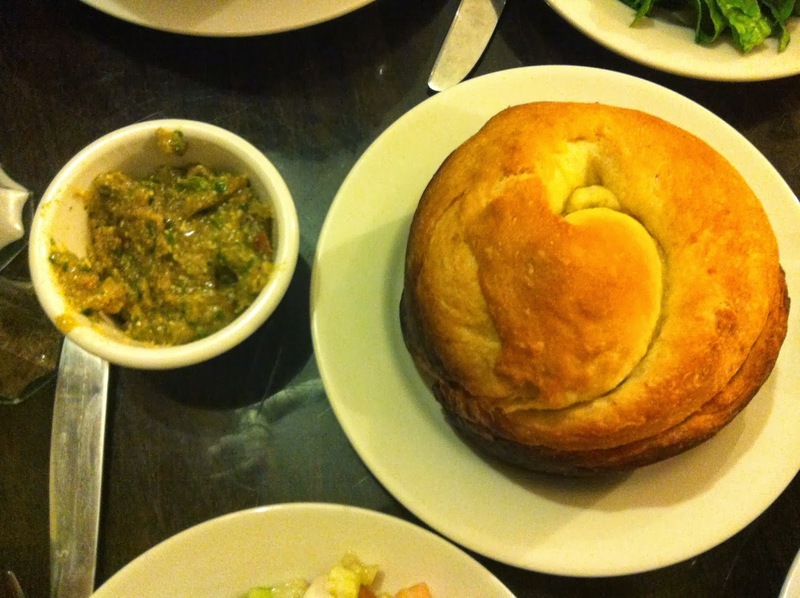 Their menu lists some Yemenite soups, including one called "Yemenite Marak Regel," which sounded suspiciously like the Yemeni maraq soup that is a starter at Arab Yemeni restaurants. I was lucky to be able to visit with an Israeli friend which made everything much smoother. She explained to me that the soups are the main dish of Yemenite cuisine. 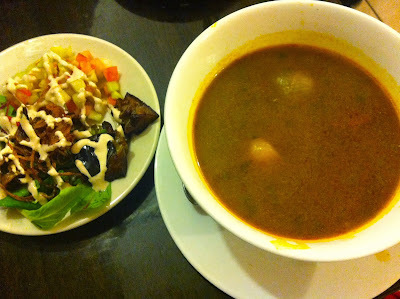 This seems to be a major difference as in Arab Yemeni food, the soup is just a small starter. Anyway, so we tried to order the "Yemenite Marak Regel" soup at Grill 212 but it turns out that is just a winter specialty. Instead, the kind woman recommended the "Yeminete Meat Soup." We decided to split the soup since we didn't know how big it would be. That was a good call as the soup was huge! The soup was thicker than the Yemeni maraq and also contained meat and vegetables. Clearly, this is a meal on it's own. We also got some salad with tahini dressing, hilba schug, and kubana, a Yemenite bread. The hilba schug seemed to be hulba mixed with sahawiq. The kubana bread was soft and fluffy. As we were leaving, I also asked the kind woman working there what the difference between "yemenite" and "yemeni" is and she said it is the same. So far I think there is some overlap regarding the maraq soup, hulba, and sahawiq.